Talsi Christian School has finished the school year and soon another one shall begin! God has blessed us with a beautiful summer filled with serving in camps and experiencing changed lives, as fruit of being obedient to Jesus’ command: Therefore go and make disciples of all nations, Matew 28:19. The first camp on our list was Vacation Bible School (VBS) camp. Bro. 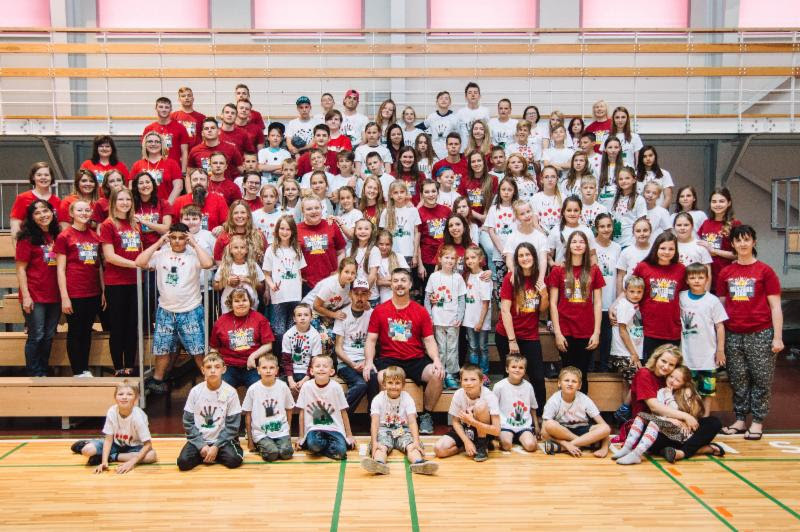 Mike Heim from First Baptist Church of White Oak, TX brought a team, and for a week, along with the youth of Talsi Christian School, we had camp for students of TCS grades 1-6. Since TCS is growing this was the biggest VBS camp: 140 people total, which is the maximum amount of people we can host at TCS, due to the limited space. Bible stories, crafts, music with motions and even sports taught kids about the Armor of God; how to defeat Satan and be victorious in Jesus. At the end of the camp during the church service many kids gave their lives to Jesus – what a day it was!!!! This is the camp where relationships between TCS high school students and primary school students are built; parents are thankful to American Christians for providing such wonderful camp. We thank and pray to God that we will be able to grow students in their walk with God during next school year. The second camp was the Orphan camp – this was our 21st summer!!! It was a miracle that we had this camp, because people who were initially planning the camp had to cancel. Then 2 faithful families stepped in: The Sheridans from White Oak Community Church and The Middletons from Wildwood Community Church of Norman, OK and a young girl Magan Shalea from Lovelady Baptist Church Ada, OK – 8 people total did the camp! I was proud of students and graduates of Talsi Christian School who came and helped! The school cooks need a big shout out, they had our back through the entire summer, making sure the camps were always properly fed. These 10 years have left tremendous impact on the lives of young people in Latvia. Because of these camps, several of students have chosen to go into the ministry and many lives have been changed for eternity with Christ! Just one quick story: Jurgis was the classmate of my daughter Zane and he graduated in 2005. He went to military school – he is a sapper (Combat Engineer). When he was a student at TCS, he was a great student: kind, obedient, participated in camps, – he had heard it all! In the Youth camp at night in the gym of TCS we have evangelistic church services – bro. Bryan Sloan from The Fields Church, Arlington TX does an outstanding job preaching and we invite community people to these services. It just happened that Jurgis came… And he got saved! The seeds sown in the past have produced fruit once again. We as believers are called to witness and serve – the ways are different. I am so thankful to God that He is using Talsi Christian School and Christians around the world to change lives for Christ in small country of Latvia! Fellowship, Accomplishments & Prayer Requests! Another highlight of our summer was the visit of Choir of Singing Women of Oklahoma to TCS. 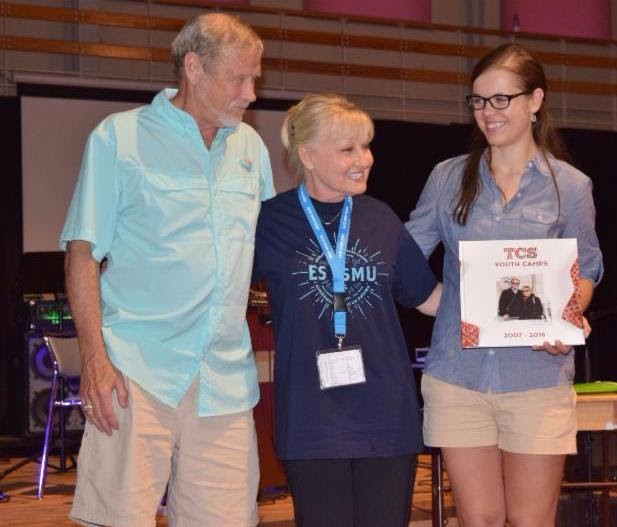 Oklahoma Baptist Convention has official partnership with Baptist Convention of Latvia. 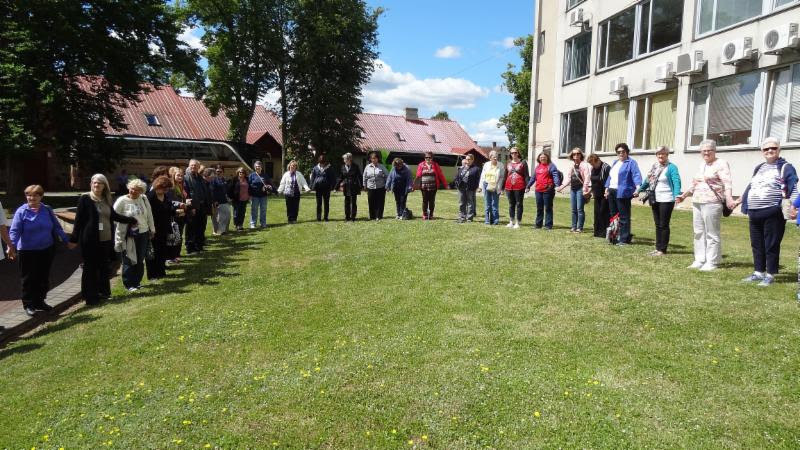 So, 140 women came to Latvia to serve with worship songs and testimonies! It was very special: the choir that has sung in large Cathedrals and in Carnegie Hall in NY, sang in the gym of TCS. The ladies did a fantastic job. The gym was packed and I thanked God for the opportunity to introduce our guests with the Ministry of Talsi Christian School. Very special moment in the fellowship was when we joined hands and prayed for new addition of TCS. We are still in a process of raising funds for the addition. The building laws in Latvia were changed on the 1st of July. 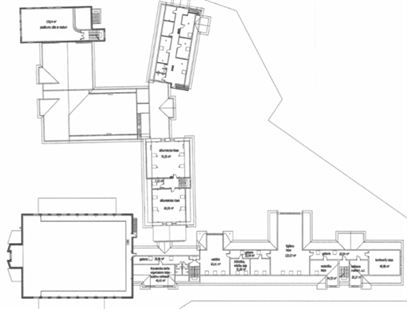 Schools are considered the 3rd category buildings, along with hospitals and architects must have a special certificate to design these type of buildings. The architects TCS has used in the past don’t have such certificate, so we have to look for more experienced and qualified Architect Company in Riga. Please, join us in prayer for addition of TCS! 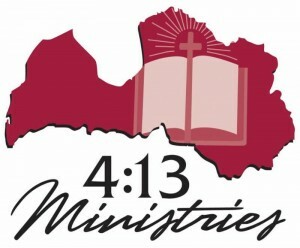 If you would like to donate for the building project, you can do it online: go to www.413foundation.org, check out our webpage and help us to fulfill the dream of enlarging the boarders of the Ministry of TCS! 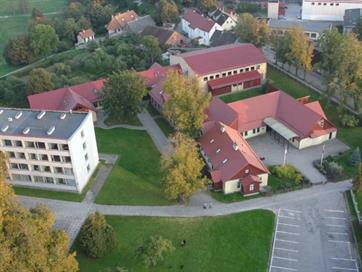 Just recently, Talsi Christian School was acknowledged as the # 5 School academically in the country of Latvia! We praise God for it! We have hard working teachers and good students! What a blessing! 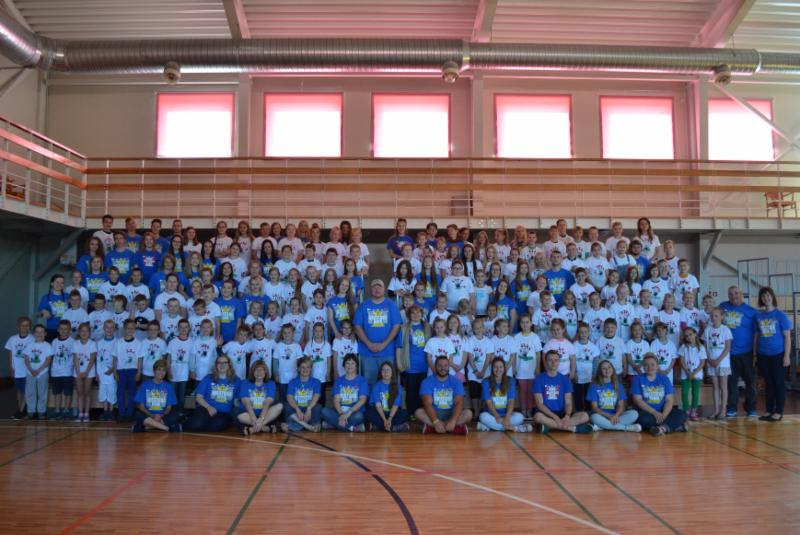 Thank you again and again for your prayers and support to the Ministry of Talsi Christian School! We live in a very unsecure world right now, but while doors are open for the Gospel in our country, please, help us keep the doors of our Ministry open!